Meet your guide at the main offices located near the Navy Pier. 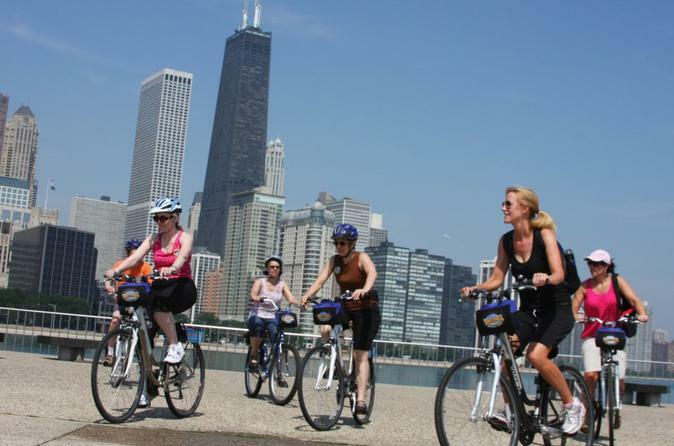 After a short introduction to your guide get ready to ride around the Lincoln park neighborhood at a leisurely pace. Your guide will lead the group around while providing information about some of the beautiful sights you will see on the tour. Chicago is a great city for biking. The amazing lakefront and parks, the rich history, and spectacular architecture provides for a great experience. Add to that to friendly tour guides, and what you have is your best day in Chicago! Bike tours are offered daily.